Last fall, I began treatments for venous retinal occlusion – a broken vein bleeding into the retina. Not knowing any ophthalmologists in my area, I accepted the urgent referral from a local optometrist. What followed over the next eight months were a series of very painful injections into the eye and one equally painful laser treatment. While I noticed some progress to my vision, I was less than impressed with the ophthalmologist’s bedside manner and the office’s lack of efficiency. Each visit lasted at least 2 hours and one ghastly appointment continued for over 3 hours where I was the last patient in the office and when my husband asked the receptionist where I was, she went back to look for me and never returned! The owner of the practice – not the doctor treating me – brought me into an exam room one time thinking I was someone else. It wasn’t until he called me by another name that I realized his incompetent mistake. Finally, I contacted another ophthalmologist for a second opinion. Walking into the office, I felt the difference. The other doctor’s office felt like a factory with the waiting rooms (yes there are more than one) full with patients shuffled from one conveyor belt to another. While the waiting room was large, there are never more than a few people waiting at a time. While I’ve only been to the new doctor twice, I’ve been treated warmly and never waited more than 10 minutes, even when arriving 15 minutes early. The major difference is the doctor-patient communication. Whereas the first ophthalmologist ignored my concerns, my new ophthalmologist and retinal specialist (referred by my new ophthalmologist) heard my concerns, talked more clearly about the treatment process, and quickly eased my mind. The final clincher for my trust in my new optical team occurred when they explained why I felt so much pain after the injection. Apparently, the antiseptic betadine aggravates the dry tenderness. Rewetting drops help remove the antiseptic and cools the irritation. While not completely pain-free, rinsing my eye after the treatment and using drops throughout the day helped tremendously. The nurse said she always advises patients to use drops after injections for the very reason that betadine can irritate. I wasn’t a wimp after all! That little piece of information made the world of difference to my psyche. This health team actually cared about how I felt post-treatment. What a concept! Before switching doctors, I had accepted my fate of being partially blind in one eye. The first ophthalmologist did nothing wrong professionally though my appointments took twice as long as the appointments at the new doctor’s office. I researched the process for the treatment and substantiated it with a second opinion. The difference is trust. I forgot to take my own advise to keep looking if I don’t trust a referred health professional. I know there are no guarantees any physician can save my vision. I also know that the treatment process will continue to hurt though, thankfully, not as acutely. Now my voice is heard. I’m confident my vision team will satisfactorily answer any of my questions or concerns. And that is what we must strive for when managing medical treatments for chronic illness. I’m having a rough flare this week and today I feel especially weak. I slept 11 hours last night and then went back to bed this morning and slept another two hours. And I’m feeling happy about livin’ life today. Typically, when suffering through flares, lack of sleep typically accompanies pain and exhaustion. But I slept. I really slept. This calls for celebration – or maybe just another nap. While most of us with chronic illness may not think much about the little things missing from our daily lives – like fewer symptoms during a flare – but I think being appreciative is important. Gratitude can turn a lousy attitude into a more optimistic one and a depressed mood into a happier one. I think I earned another nap. Live more joyfully despite chronic illness. Contact me at laurawebb@lbwebbcoach.com and let’s schedule time to chat! Please Note: It is important to talk with your physician, physical therapist or other licensed professionals before trying new physical activities or tools. Find a Trusted Medical Professional – Communicating with your physician is critical. This is the most important advice I can offer. Go to appointments with lists of questions. I can offer suggestions on how you can self-advocate. If you are not comfortable with your physician and (s)he minimizes your concerns, find another!! Talk candidly about medications and if one doesn’t work, explain how it makes you feel and try something else. If unable to find a physician who doesn’t listen or make you feel valued, acupuncturists, physical therapists, and other health professionals may help. A Trusting Ear – Good mental health is an important part of your health program. It is important to have someone to share frustrations as well as successes. Ideally, everyone needs multiple people they trust depending on the circumstances. Family members, friends, professional therapists, life coaches can all be considered. The key is finding someone who you know who does not judge you, accepts you, and appreciates you. Exercise – Start slow and easy but do something! Whether walking for 5 minutes; sweeping the floor; practicing tai chi or yoga, it is very important to get into a routine of using muscles and joints. Swimming is probably the best exercise for chronic pain and illness as it easier on joints and muscles. Many pools offer classes specially designed for people like us. 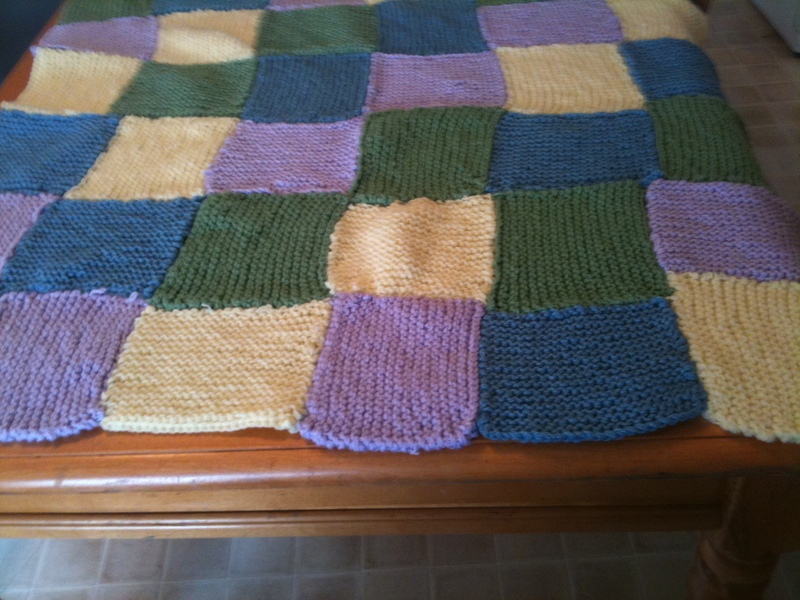 I knitted this baby blanket for a loved one. Find a Hobby – Knitting, crotchet, creating scrapbooks, photography, bird watching, gardening or anything that is pleasurable for you and takes your mind off your pain is important. Massage – Many people in pain (particularly fibromyalgia patients) cringe at the idea of anyone touching let alone massaging muscles. Communicating with the massage therapist can make the experience both pleasurable and helpful. Pampering – Part of the massage experience feels good because it’s important to be good to yourself. If massages are not comfortable, try a manicure and pedicure (not just for women anymore). Going to a matinee, museum or having lunch with friends can feel like a treat. 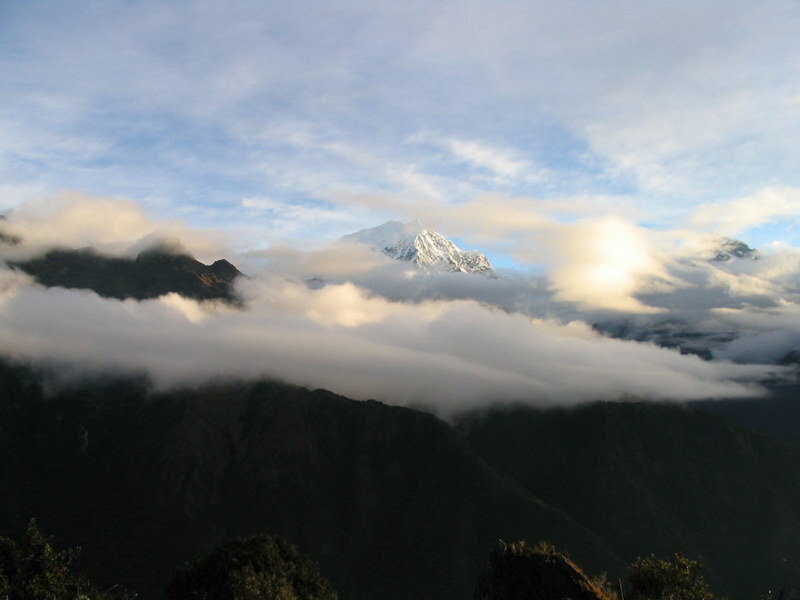 Warmth – Baths, hot compresses and heating pads, preferably moist, provide temporary relief. Massage Foam Rollers – Using gentle pressure on targeted areas by moving the roller back and forth on the floor can be very painful in some areas at first. But even doing a few times at first, muscles are more relaxed and fascia (connective tissue that surrounds muscles and nerves) are lengthened and softer. TENS (Transcutaneous Electrical Nerve Stimulation) Unit – TENS is a pocket-size device that sends electrical impulses to block pain signals. Electrical currents are mild but can ease specific areas of pain. TENS is not helpful for migrating pain. NOTE: Ask physician or physical therapist about TENS and how to use it properly. Yesterday, my mom and I met with Dr. William Pridgen, Dr. P., about the treatment for fibromyalgia and chronic fatigue syndrome. The journey for Dr. P began when he sought successful treatment for patients he saw as a gastroenterologist. Suffering from more symptoms than GERD, and alternating diarrhea and constipation, Dr. P. tried regimens of a combination of antivirals and found that medications treating herpes simplex type 1 proved highly successful. As I discussed in my earlier posting, I contacted Dr. P. and am in Tuscaloosa this week. In our meeting yesterday, I learned a bit about the biology about the herpes virus Dr. P believes to lives in the stomach. I shared more of my history. I found Dr. P not only knowledgeable and caring but funny, approachable, and surrounded by a wonderful staff. I never felt rushed and just another patient on the assembly line. I allowed myself a glimmer of hope at last. After our meeting, I felt overwhelmed with the possibility that my health may change – truly change. Fibromyalgia and CFS have been a part of my life for longer than not. I allow myself moments to dream about exercise without fear of crashing, traveling without planning post-travel crash, less brain fog. I’m sure my keys will always walk away from where I leave them no matter how healthy and clear-headed I may become. Tomorrow, I have a procedure that repairs my esophagus due to high volume acid from my stomach. Apparently, the esophagus is the second part of the body damaged from fibromyalgia. The gallbladder is the first to go and I thought the surgeon who removed mine several years ago was a hack since my symptoms continued. Dr. P assures me the organ had likely stopped functioning. Post-surgery, I begin new medications, mostly antivirals, intended to put the nasty herpes virus back to a permanent coma. The process is not immediate but the results are astonishingly successful. In fact, there is a study for this treatment in 11 centers around the country beginning in March that the FDA is watching closely. The plan is for 2013 the year a truly viable treatment becomes available, with FDA approval, for successfully treating fibromyalgia and chronic fatigue syndrome! Can you imagine?! No more trial and error of medications. No more frustrations that doctors can’t really help and only support groups and bloggers understand. Hope for better health for sufferers of fibromyalgia and chronic fatigue syndrome may soon become viable. LIKE my page so you receive automatic updates on your own Facebook page. “Ow!” I yelp as I leaned on my wrist a bit too heavily. “What did you do now?”, my husband asked. This is a common exchange between me and my husband. He seems to think that I’m a klutz. Just because he’s seen me stub and break a couple of toes and observed countless bruises on my legs from bumping into things doesn’t mean all my pain is the result of some self-induced injury. 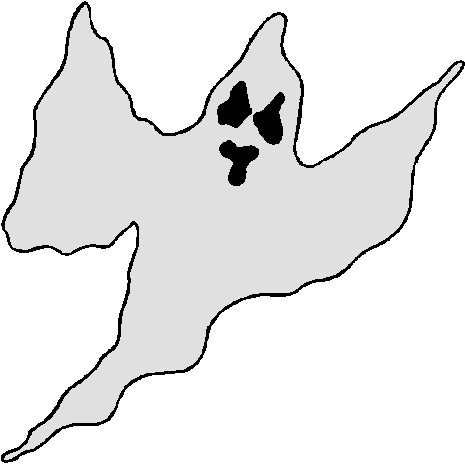 I call these mystery pains, ‘the phantom’, as they mysteriously attack and leave various joints without warning. These are the traveling pains that are sharp and cause weakness to the joints. If the pain is in my ankle, I am unable to walk. If it moves to my wrist, I cannot open a jar or bend down to kiss my husband. In about 10 minutes, the attacker is gone and there are no lingering effects. Sometimes I wish that there was evidence that these illegal immigrants invaded my body. There is no joint swelling and test results are negative when I visit the doctor in acute pain. It confounds me every time that my symptoms rule out other diseases and rule in fibromyalgia and chronic fatigue syndrome. I feel relief that rheumatoid arthritis, lupus, or another serious more life threatening illness tests return negative but frustrated that there is never a definitive answer only ruled out diseases. Furthermore, the elusiveness of these dual illnesses admittedly cause emotional setbacks at times. Then, my husband says something to make me smile or I watch my dogs interact with each other or with the cat and my low mood transforms to joy at the simple pleasures that life offers. The phantom slips back into hiding for a bit. Yeah, I have discomforts in life but they are nothing compared to the simple moments that bring me joy. I’m so lucky. 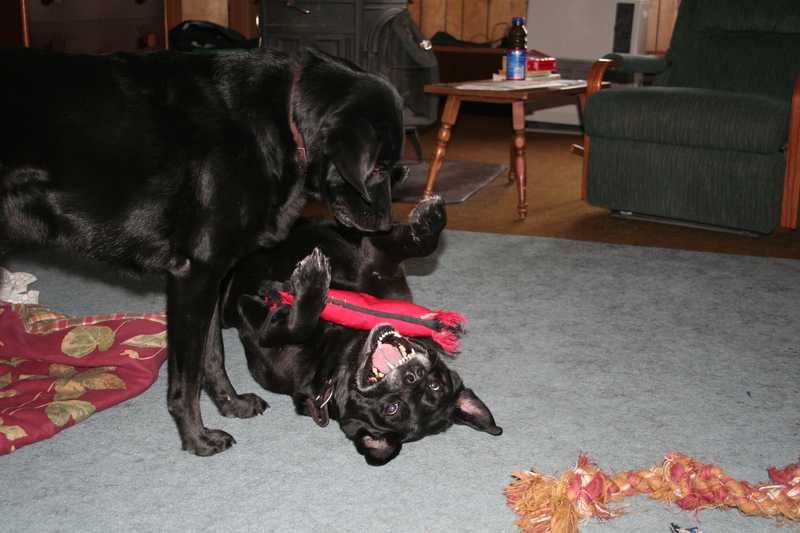 Homer and Zoe, who now romps in eternal fields and streams, made me laugh daily with their wrestling moves. 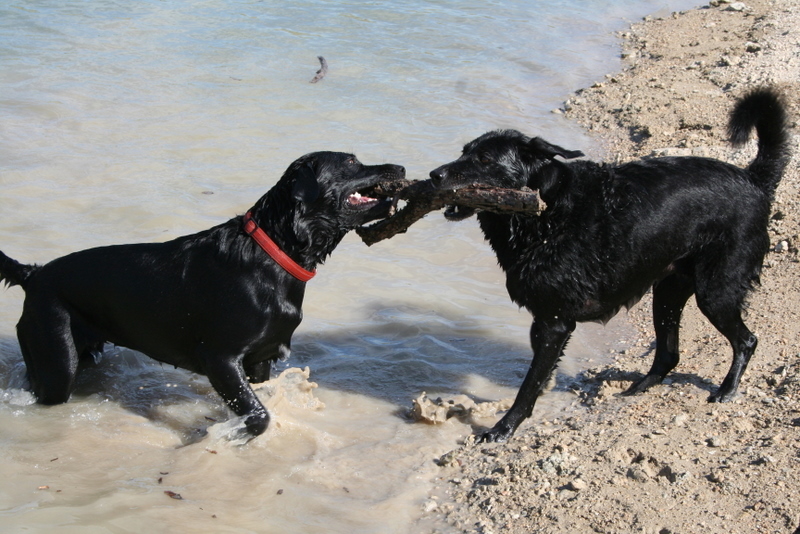 Luna and Homer at play at the lake. 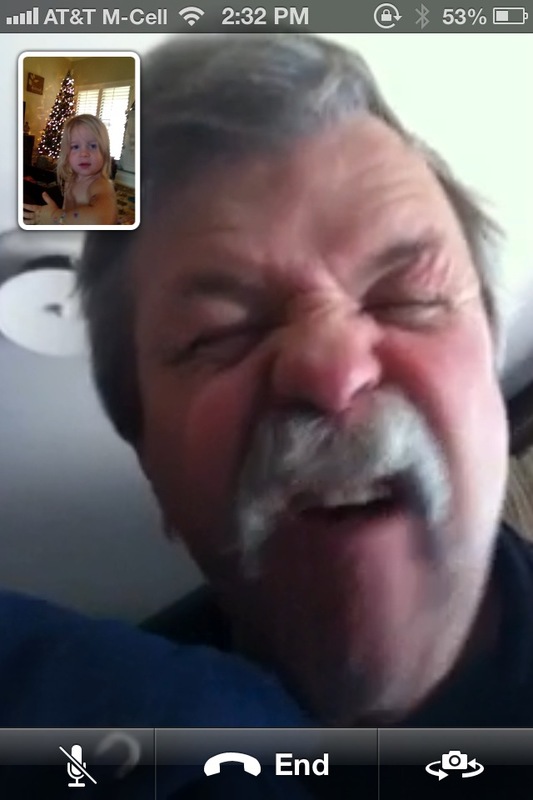 My hubby being silly on face time with grand twins. I wonder if this cowboy would kill me if he knew I posted this but that’s what he gets for not reading my blog. I have just completed my first newsletter for LB Webb Coach! To receive a free copy, simply visit my website (link below) and complete the very brief sign-up form. Unfortunately, wordpress.com does not let me to add a form on my blog though wordpress.org does. I just learned today that there are 2 different sites – who knew?? The newsletter provides information about coaching people with chronic illness as well as useful tips and suggestions to ease the pain suffering that intrudes on many of our daily lives. I hope you can find a few moments to read my newsletter and find the info useful. I welcome comments and suggestions for topics on future articles. Many years ago, I started looking at all relationships as a dance. When asking a new partner to dance, or being asked to dance by someone for the first time, it is always awkward at first. Will we step on each other’s toes? Who takes the lead? After the first dance ends, will there be more dances and will we become a pair admired by all? One of the toughest parts in the Web of Life is that of family and friends – relationships. But for me it was one of the weakest parts of my web. Our lives are a web of experiences and people. At any given time, some are stronger than others. No matter where you are in processing the truth that you or a loved one must live with a chronic illness, accepting the diagnosis and living more fully is only possible when you have supportive relationships. When first diagnosed all those years ago, I rarely talked about my illness with anyone. My colleagues knew I had an illness but I never really discussed it with my superiors as I believe they only cared about productivity – not weakness. Friends knew but I again, I did not want to dwell on my sickness when socializing. My mom sometimes joined me for doctor appointments and she learned a few things about me physical limitations. Most of the time, I remained silent. Nothing like running a morning romp! comfort, humor, and I thought that was all I needed in life. That changed when I started the two-step with my husband. We were in Alaska and knew each other barely a week. I told him one Saturday afternoon as we relaxed on the sofa that I had CFS/ME and fibromyaglia. Convinced the relationship wouldn’t go anywhere, I figured why not tell all and be done before it goes further. Imagine my surprise when he didn’t run, didn’t care, didn’t think I of me as damaged goods. How could I not marry this guy!! The experience of sharing my illness freed me. Now I tell people I have a chronic illness. My illness is not a crutch. It does not define me. It is one aspect of who I am like being Jewish and a Yankee living happily in Texas are also me. I don’t exactly meet people, shake their hand, and say, “Nice to meet you, I’m Laura and I have a chronic illness.” But it there is a reason to share this part of my life, I openly explain that I have an illness. A cautionary note: I do not necessarily recommend full disclosure if potential for discrimination exists. Use your best personal judgment. Becoming more open and accepting of my illness brought surprising results. Most people don’t care and often, someone knows someone else with an illness. I am not the pariah I feared. People are more understanding than I gave credit. My pets still bring me great joy, comfort, and humor. Even on the worst days, I must take care of them and the dogs insist on a daily walk that helps all of us. Life is much richer now and my dance card now includes wonderful human relationships. Building trusting relationships is a critical part in weaving and maintaining your Web of Life. Everyone needs a trusting shoulder and this is especially true for sufferers of chronic illness. Daily burdens are sometimes overwhelming and a partner who holds you up and keeps you from falling makes the tough times easier to bear. Do you have a chronic illness and need help setting goals to manage your life better? Do you wish to live more fully and joyfully? Contact me and schedule a free, no commitment, exploration session and let’s reach our goals together!